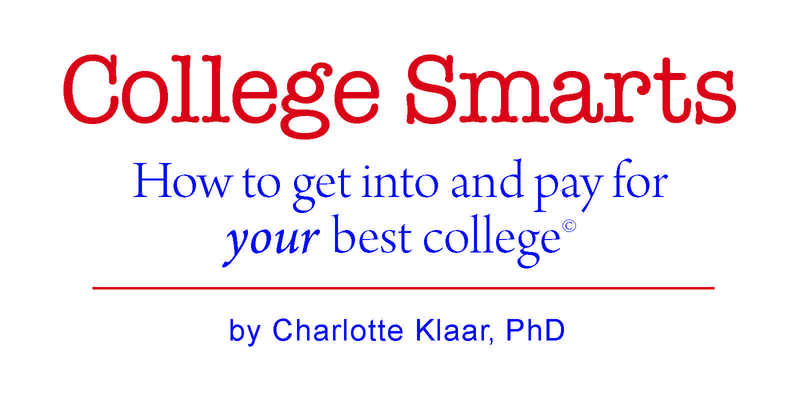 Klaar College Consulting, LLC is dedicated to helping your family through the often confusing college search and application process. No one can guarantee that you will be accepted to a particular college. However, we can guide you through high school and help you make the best decisions for your college and your future. Dr. Charlotte Klaar has successfully worked as an Independent Educational Consultant for more than 20 years, and has made a difference in the lives of hundreds of students. Her goal is to help students develop self-awareness so that they can make more informed choices (without depleting the family finances). I propose a One-Time Initial Consultation: I will meet with you and your student for one hour during which I will describe my philosophy, explain what you need to be concerned with in the college process and discuss my service options. The fee for this meeting is $250.00, and is payable when the meeting is held. If you sign up for one of my service plans at the end of the meeting, the consultation fee is rolled into the package. We also offer various levels of service payable in advance or by credit card in convenient monthly or quarterly payments. We will work out the best payment plan for you, based on when your contract is signed. All payment plans end on June 1st of the graduation year regardless of when the contract is signed. Here’s a schedule of our fees. Are You a College DIYer? 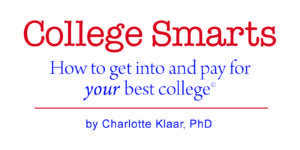 If you’re a parent or student who is interested in learning more about college admissions, but need a cost effective alternative to personal consulting, than College Smarts may be right for you. I recently launched the College Smarts program to give all families access to my deep knowledge and years of experience.” This 5-module, on-line learning series will lead you through every step of the college applications and admissions process at a very affordable cost. Click here for more details. Klaar College Consulting does not discriminate on the basis of race, religion, gender, citizenship, ethnic or national origin, age, disability, sexual orientation, gender identity or expression, in providing its services.